I know it’s tempting to link to larouchePAC articles, but as former Larouchie myself, you may easily just toss the thing away. It will only hurt your credibility. 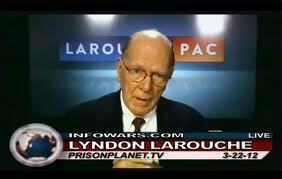 It is a cult… because Lyndon Larouche is really just like a Guru in his movement. We can’t contradict him, and there’s as much internal power structure fighting (or should I say purges by him) as there is International intelligence gathering. I became convinced of this when Kenneth Kronberg committed suicide. 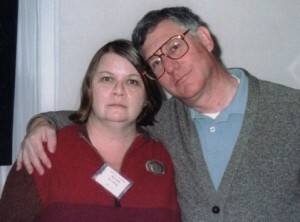 He was a longtime contributor to his movement, and assumed debts for many of Lyndon’s publications. (Ken was the Editor of Fidelio magazine). When all this was too much to bear (as most of Lyndon’s publications are mostly not profitable) Ken killed himself when Lyndon told us (the youth) that babyboomer’s should simply commit suicide. So he did. What did Kenneth have as eulogy from Lyndon? Nothing. Nada. Simple contempt (and attacks) for him for having creating havoc in HIS movement. By the way, Larouche calling for the impeachment of the President is nothing new. This polemic has been the one catching my interest in 2003. What is Lyndon saying 10 years later? SAME THING!! Impeach the president! The novelty and impact fades the more you use it. He’s been telling us about the economic crash for a much longer time.